Description and form of release: Herricia extract (Hericiumerinaceus), an auxiliary substance pharmacopoeial propylene glycol. Homogeneous transparent liquid of a golden color with a nutty smell. It is allowed to form a small amount of sludge at the bottom of the vial. The composition of the extract: contains vitamins B1 and B2, nicotinic acid and ergosterol (provitamin D2), inositol, lecithin and serine phospholipids, fatty acids, mineral components (potassium, calcium, phosphates), nucleotides and nucleosides; it contains 19 free amino acids, suppressing it, 32 free amino acids, suppressing it, suppressors, nucleotides and nucleosides, found XNUMX free amino acids, suppressing it, suppressing XNUMX free amino acids, suppressing it, XnUMX free amino acids, suppressing it, Xnumx free amino acids, suppressing fatty acids, minerals (potassium, calcium, phosphates), nucleotides and nucleosides. which are irreplaceable, β-glucoxylan, glucoxylan-protein complex and galaxyl glycan-protein complex (possess antitumor activity). The composition of the extract contains low molecular weight compounds related to phenols — gericenones (XNUMX aromatic substances have been found in the body of the fungus, which is significantly more than shiitake) and fatty acids. Their use has the same effect in the treatment of cancer as chemotherapy. - Immunomodulator possesses powerful anti-cancer properties against tumors of the stomach, esophagus, liver, in the treatment of leukemia, etc. - It is recommended to use during chemotherapy and radiation therapy in order to increase the effectiveness of treatment and reduce side effects (the effectiveness of chemical and radiation therapy increases from 2-x to 7-m times). - Recommended for the treatment of Alzheimer's disease, Parkinson's disease, senile dementia, multiple sclerosis, neurasthenia, neuroses, insomnia, depressive states (C, D, E, F, G and H hercenes stimulate the production of a protein called nerve cell growth factor (NGF) need a brain for the development and preservation of important sensory neurons). - Recommended for recovery after heart attacks, strokes, with heart rhythm disturbances, chronic venous insufficiency. - Immunomodulator, slows down the aging and degeneration of cells. 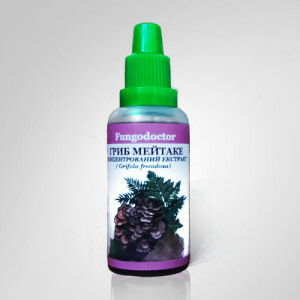 Recommended for diseases with weakened immunity: allergies, AIDS, candidiasis, influenza, rheumatism, has anti-inflammatory effect, can be used for a long period to maintain immunity. - Antioxidant, contributes to the restoration of the structure and function of damaged receptors of biological membranes, slows the development of atherosclerosis. - Has antimicrobial activity against gram-positive bacteria, which allows using the drug as an antiseptic in inflammatory diseases. - Promotes regeneration of the gastric mucosa in the treatment of gastritis, gastric ulcer and 12-duodenal ulcer, lung diseases, as well as a stimulator of the function of the digestive system. 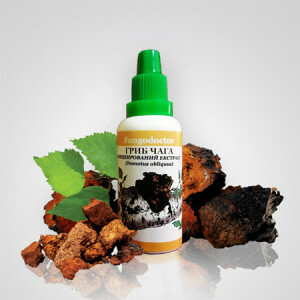 - Removes toxins from the body, increases hemoglobin levels, stabilizes metabolism. - Hepatoprotector in the treatment of fatty hepatitis, hepatitis, chronic bronchitis, problems with the genitourinary system. - Reduces blood sugar levels, therefore, it is recommended for patients with diabetes. - Promotes the adsorption and metabolism of calcium in the body, the prevention of osteoporosis, activates the white sprout of the bone marrow, prevents the decrease in the number of leukocytes. Contraindications: individual intolerance, children up to 12 years, not recommended for pregnant and lactating women. Adverse toxic reactions were not detected.